I spent my 20s as a performer & Broadway tap dancer. I worked with some of Broadway's legends & tap danced in cowboy boots. Then, I swapped dancing shoes for hiking boots & became a park ranger for the National Park Service. I gave interpretive talks about things like desert ecology, tundra flowers, & female adventurers & served as an EMT atop Trail Ridge Road. A masters degree in directing & a remarkable sense of timing led to gigs with recycled art fashion events, literary festivals, & plein air painting competitions, as I jumped into arts administration & worked as a director of an arts center. A mover at heart, I taught yoga on the side. And then somewhere around my 40th birthday, my whole life turned upside down. Some say “a woman always knows when her man has strayed.” Well, not me. I didn’t pick up on it at all, or at least my brain didn't. Though I didn't realize it until later, I was profoundly disconnected from my body. I knew how to train, contort, & move it, but I didn't know how to really listen to it. My brain didn't have all the info it needed to make sense of what was happening around me, but my body was signaling right & left that something was wrong, and I didn't understand it. I minimized & ignored those signals. I put faith in other people ahead of faith in myself. But, I get it now. Thank. God. Since then, I’ve been in a master class with my growing intuition & courage. I embarked on a big ol' move-back-home-and-start-over type of midlife change in 2015. What you see here is a product of that redirection. I've taught yoga & other meditative practices since 2010. 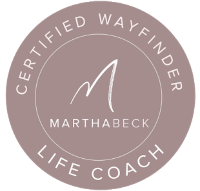 I became a life coach in 2016 & graduated from the Guild of Structural Integration in 2017. My aim is to combine my varied interests in self development, movement, awareness, observation, science, & art. Creativity, intuition, vitality and a great ocean of wisdom all live in our tissues. That wisdom never ceases to amaze me. P.S. You're more than welcome to call me Laurel, but most people shorten it to Laurie. *I am an affiliate of some of these programs, so I may receive a commission if you sign up using my links. Please do! I only become an affiliate for programs I believe to be the most transformational. People who go their own way inspire me to no end. They know the incredible value in listening to themselves, especially when the rest of their community wants them to be or do something else. They don’t look like everyone else; they don’t strive to. They’re completely unique. They care about spirit, value, comfort, doing the right thing & finding whatever it is that makes them sing. They refuse to make themselves smaller for anyone else. And yet they care deeply about kindness, improving themselves & the world around them, connecting with the natural world, & listening their own unique souls. They are odd ducks. They are village crazy ladies. In my humble opinion, this world needs more odd ducks & village crazy ladies. I am one!